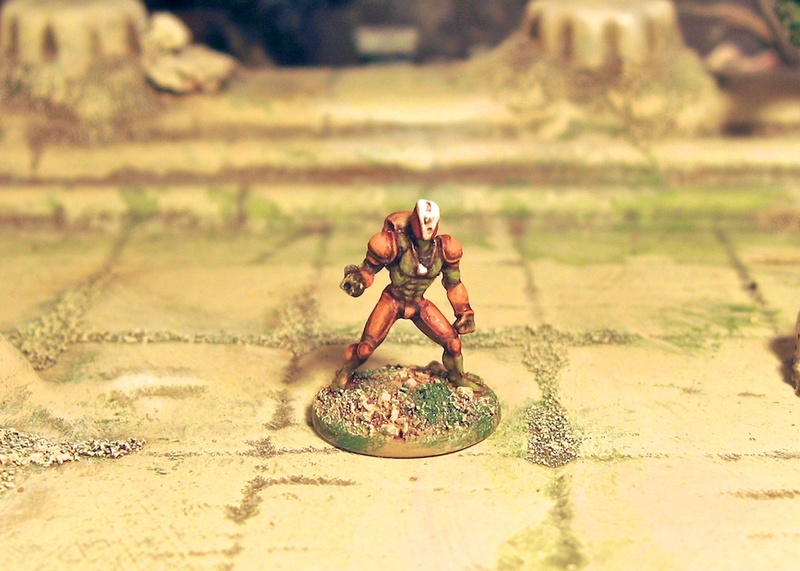 PF (I don’t know if he’d want me to share his full name) is an extremely talented miniature sculptor from France who has done work for quite a range manufacturers. I’ve said it before and I’ll say it again – I’m a big fan. There is a lot to like about his style, both aesthetically and technically. 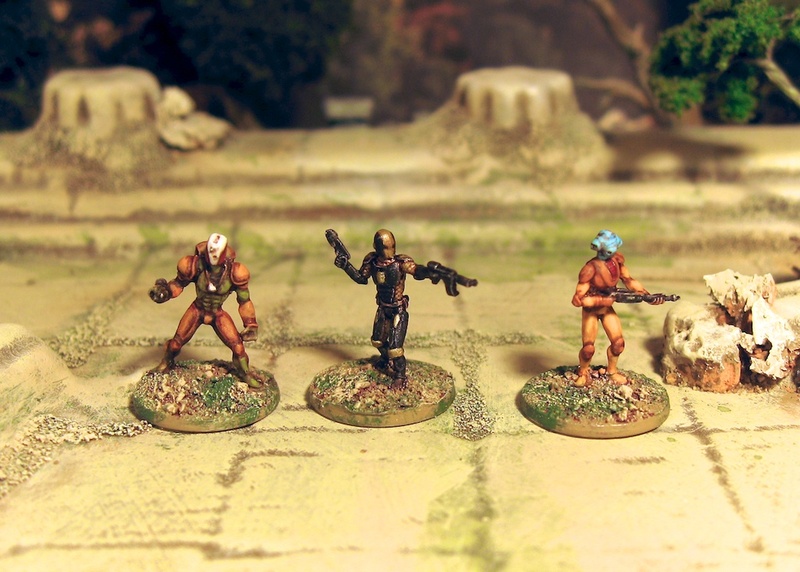 The left and right miniatures are from Brigade Models “Alien Bounty Hunters” pack and the centre guy is from CP Models “Robots” pack. 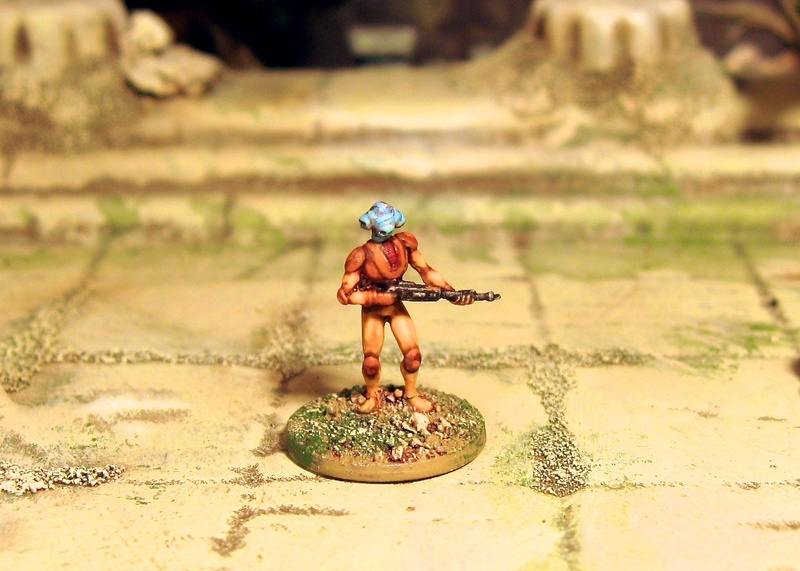 I’ve still a lot of PF miniatures to paint up but here are links to a few already done. 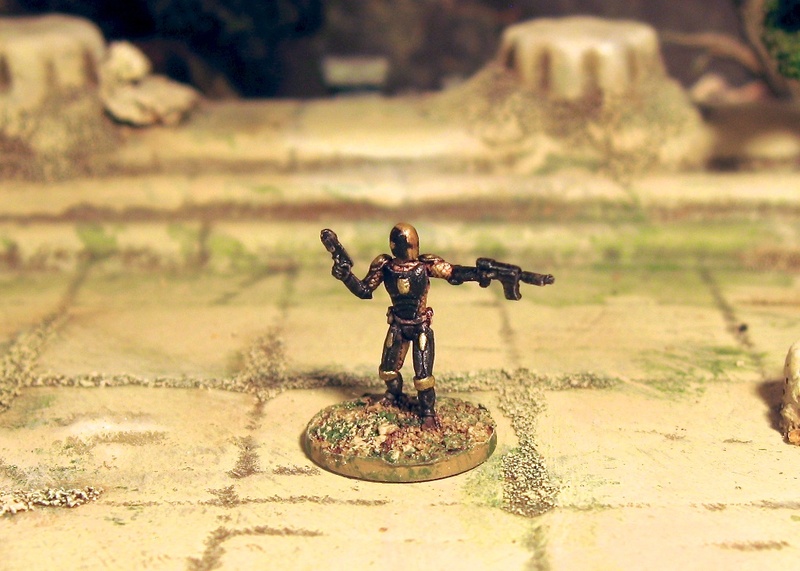 15mm Sci-fi bonanza. Out of this World Bounty Hunters.